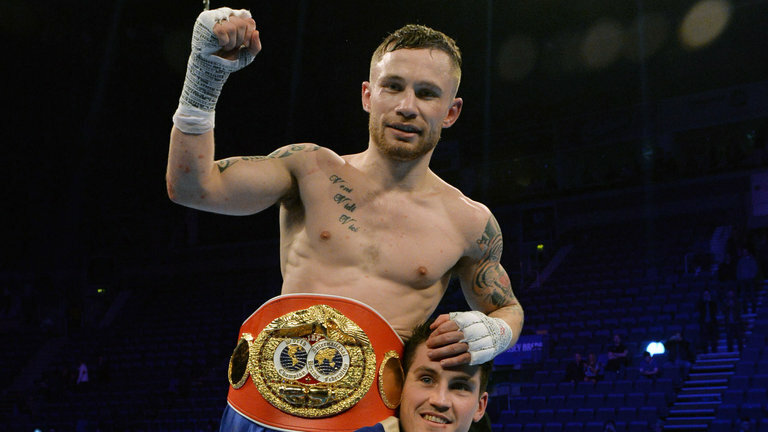 Ring News 24Boxing News Breaking Boxing NewsCan Nonito Donaire upset Carl Frampton in Belfast? Can Nonito Donaire upset Carl Frampton in Belfast? Jon has been a fight fan for around 40 years, Jon has a Diploma in Freelance Journalism. As well as being an official with the British Boxing Board of Control, Jon is also a coach with the Declaration 1320 Boxing Club in Arbroath. Nonito Donaire will fight in the UK for the first time later this year; he makes the trip over to Belfast to challenge Carl Frampton on 21st April at the SSE Arena with another World Title shot being the likely prize for the victor. The Filipino Flash has had a tremendous career and the 4 weight world champion does not intend for this to be the end of the road as he looks forward to a potential match up with Lee Selby should he win. Carl himself is a 2 weight world champion and still dreaming of fighting for a World Title at Windsor Park so will not want to be derailed as he is so close to making it a reality. But will Donaire at the age of 35 have enough left in the tank to take on and beat Frampton in front of his fanatical home support? He does have fast hands and carries some power, which is usually always the last thing a fighter loses, he is also technically very good and has a good chin. Carl is as tough as they come and possesses world-class skills in both footwork and punch selection. He also has a solid tight guard which Donaire will do well to try and get past if he is to unleash his power shots. Carl is now being trained by Jamie Moore and seems revitalised after splitting with Shane McGuigan. He was not as impressive as he usually is in his last outing against Horacio Garcia, again at the SSE in Belfast. After a good fast start, he seemed to lose his way a little in the middle rounds, but this could be attributed to a bit of ring rust having been inactive for around 10 months. Certainly, he will have to perform better against Donaire. Saying that, it is also likely to be the type of fight that Carl can get excited and motivated for, knowing he is in with a dangerous opponent and the fact that the Windsor Park dream will be in jeopardy should he lose. Carl will no doubt be looking to take on the winner of the Lee Selby v Josh Warrington fight which is scheduled for May this year and maybe even a decider with Leo Santa Cruz to complete the trilogy. Now in the veteran stage of his career, even if he does still carry the same power I can’t imagine Donaire becoming the first fighter that stops Frampton. So for me, his only chance is to use those fast hands of his to outwork and outpoint the popular Irishman. I feel that over a gruelling 12 rounds Carl will have too much grit, desire and determination to be outworked. He will gradually wear Donaire down to win a comprehensive points decision, or even a late stoppage, to set up some more blockbuster fights down the line and also fulfill his dream of topping the bill at Windsor Park.